This morning, I did yoga for the first time in months. So, as I sit here catching my breath, a little inkling of a thought crept into my mind. Since my last weekly workings post seemed to be liked so much, why not do another one? I truly love writing for you all, so here we go. Once again, I am met with many things to complete or at least start on. The first is a project I should have completed about a month ago. 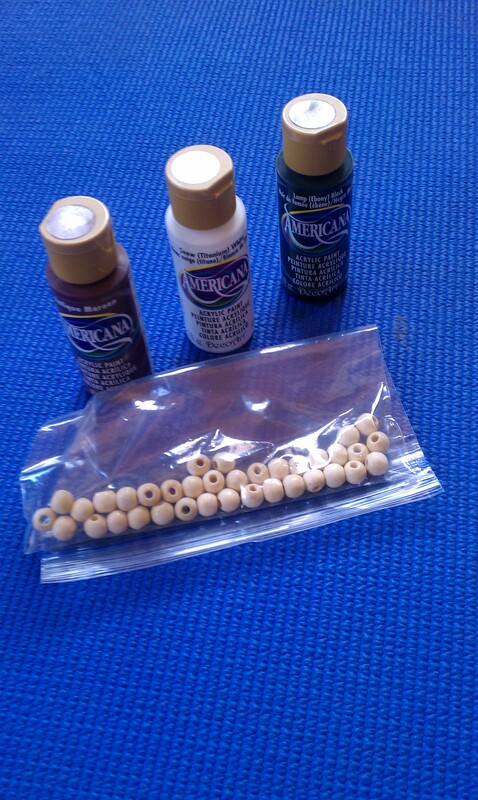 I am making these rosary/mala things for my Belegarth realm. For those of you who do not know, I love to fight with foam swords and hit people with them. I am actually learning how to sword fight, but in a way that is a little bit safer. As you can see, my realm colors are white, black, and maroon. I have one more set of beads to paint, clay *things* to make (I say things for a lack of a better word), and then I have to string everything together. The second project, or projects I might say, are two hats that I will be making for my friends. They are awesomely awesome and paying me to make their hats for them. One is going to be a simple beanie with the letter M on it. I do not know if I will knit it into the hat or what I will do. It shall get done, though. The second hat I am going to make is crocheted and I shall get to that as soon as I get a pattern from my friend. And the third and final project I am working on this week is a shawl. It is the Of the Moon shawl by Caitlin French. 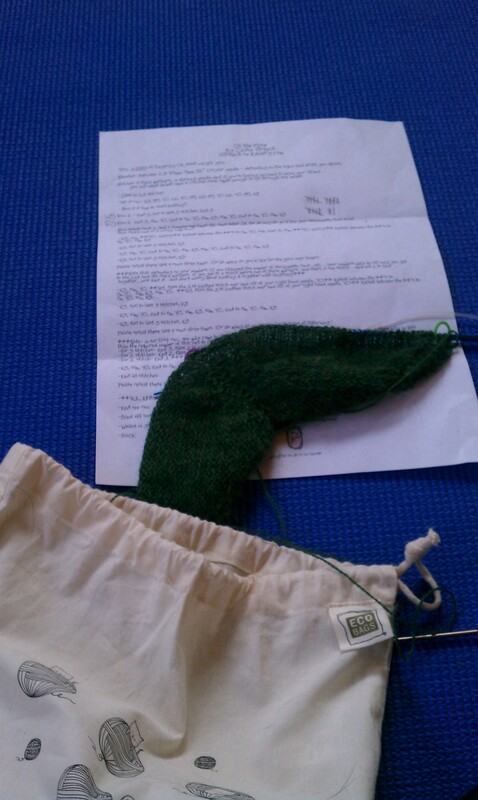 After one very false start, I am well on my way to making the shawl. I think it is going to turn out beautifully, although I will never ever ever work with lace weight yarn again if I can help it. 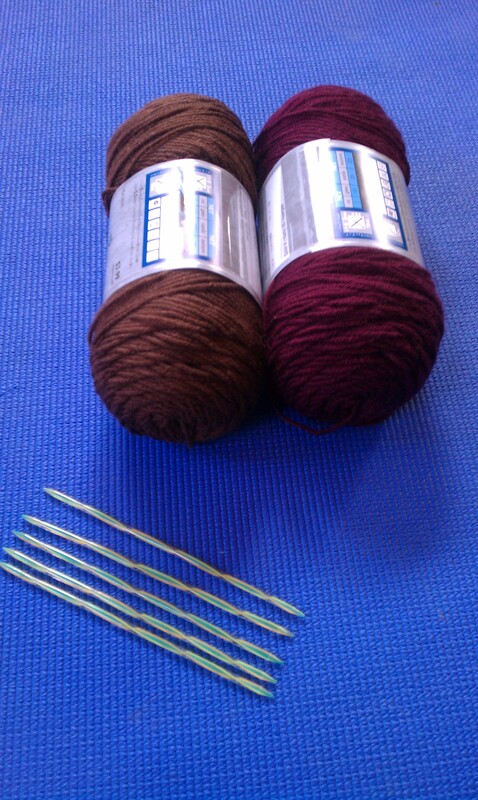 The yarn I am working with for this project is the Forest Heather colorway of Knitpicks Shadow Lace line. It is a lovely yarn, do not get me wrong. I simply do not like working with such fine fibers. And if you are wondering where the seed stitch wrap is, it will be making another appearance sometime in the next few months. And by gum, I even did some writing (and reading, too!). 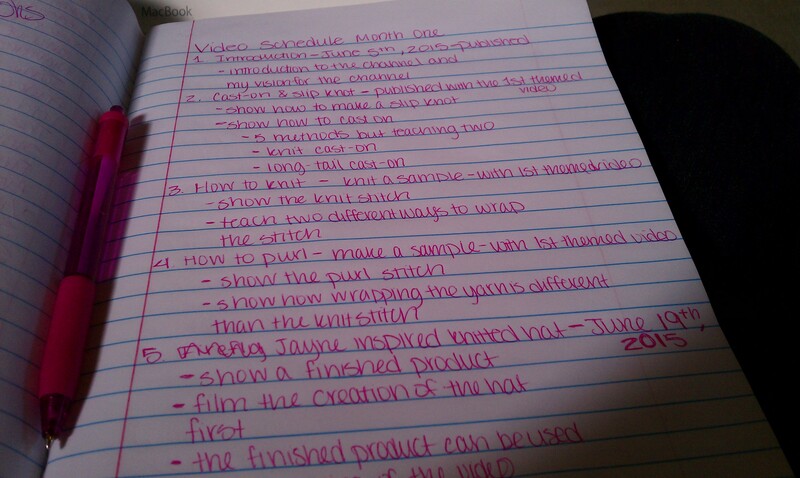 I got a little bit of planning for my youtube channel done and I also completed a little bit of other writing. Maybe my teenage angst will be the next best seller. Although, in four and a half months I will be twenty years old; much to the chagrin of my mother. I will return on Saturday with the second part of my Self Love post. I will be talking about how to take care of yourself mentally and spiritually.